Dr Nishan Dixit is the founder and principal dentist of Blue Court Dental. Patients enjoy his relaxed, friendly and gentle approach while experiencing his meticulous attention to detail. He has a special interest in providing smile makeovers, natural-looking white fillings and cosmetic braces, but also provides a range of treatments from preventative and general dental care to complex dental rehabilitation. 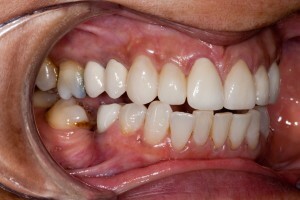 Years of bad habits and irregular visits to the dentist caused this patient’s teeth to deteriorate very quickly. 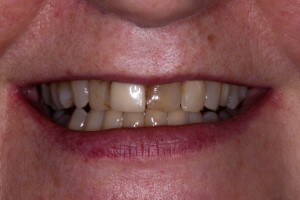 Her top teeth were very uneven and heavily discoloured. 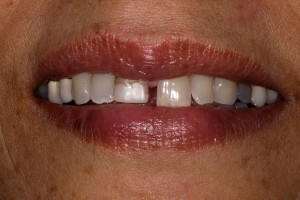 Close friends and family always commented on how her teeth looked, which over time, caused the patient’s confidence to drop. She would never smile openly or laugh out loudly. Meeting new people was impossible and having photographs taken was never an option. This had a big impact on her life. She wanted to become the person she was, someone who was full of life and confidence. After careful thought and planning, the best course of treatment recommended by Dr Dixit was to replace the existing crown and provide new porcelain crowns for the heavily filled and discoloured teeth. 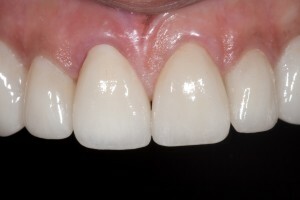 The teeth were prepared to the ideal shape for the crowns using custom-made templates to minimise drilling. A soft-tissue laser was used to painlessly recontour the gums enabling the final crowns to be of the ideal length for her face. The new colour was matched to perfection using a special hand-held shade taking device. The patient was over whelmed with the results. Friends and family could not believe how confident it had made her. She was now able to hold her head up high and smile openly and laugh loudly. This entry was posted in Cosmetic, Crowns, Dentistry, Share This Post, Smile makeover, Why Choose Us? and tagged British Academy of cosmetic dentistry, cosmetic dentistry, crowns, dentist in Harrow, emax crowns, gum recontouring, laser, makeover, painless, smile, teeth on 17 September 2015 by Dr Nishan Dixit. I’m not happy with my smile, what are my options for cosmetic dentistry? We find that many people are looking for options to restore their smile but simply don’t know what those options are. This blog post has been written to allow you to understand what the options are available, possible prices, the procedures and what to expect from cosmetic dentistry. Cosmetic dentistry is broadly broken down into 4 main areas. Let’s look at each of these areas in turn. Options to straighten crooked teeth. As with many areas of dentistry there is in one simple way of doing this, which actually works as an advantage as it means that you can choose the best approach for you. We thought one of the easiest ways to break these treatments down Is to look at treatment time is and how quick you could have straight teeth again. If you’re looking to have straight teeth in the quickest time possible them possibly dental veneers are the way forwards. 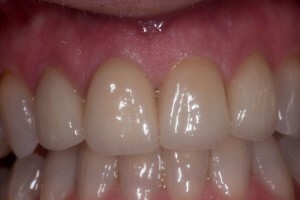 Dental veneers are a precision made thin-layer which fit over the surface of your existing teeth. They made from a high-strength dental ceramic by a highly skilled dental technician and so often come with a higher pricetag than many other options. Dental veneers can also be used to restore broken down teeth and whiten dark teeth, so at the same time straightening them you could end up with a perfect Hollywood smile at the same time! One of the big disadvantages with dental veneers are that they often require some form of reduction of your natural teeth underneath. Many dentists prefer to work on a minimally invasive nature, whilst dental veneers are relatively minimally invasive they do still often require drilling of your natural tooth. If your natural tooth is otherwise healthy then you need to know that some of this may be reduced in order to accept the new dental veneer. One of the disadvantages of dental veneers is the fact that they often require a small amount of reduction of your natural tooth. Whenever possible we prefer to keep your natural teeth fully intact and so this is where the next treatment to straighten teeth comes in, it involves moving them with orthodontics and the technique which is fastest is known as the Inman Aligner. 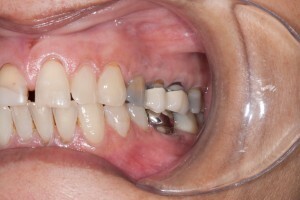 The Inman aligner is a revolutionary new technique whereby a removable orthodontic appliance is used to push and pull your teeth in the correct direction. You need to be committed with your Inman aligner and wear it for at least 20 hours per day, removing it only for cleaning and eating. Here’s a video of how the Inman aligner works by pushing and pulling at the same time. 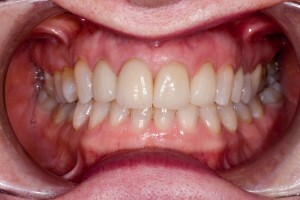 Straight teeth in around six months. 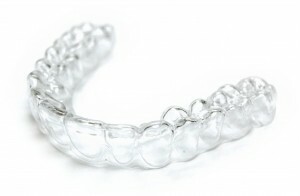 Many people dislike the fact that the Inman aligner, whilst being rapid, is a removable appliance. Some people prefer to have a fixed appliance. Fixed appliance orthodontics are generally able to move teeth slightly more than a removable appliance and the one that we prefer is Six Month Smiles. This orthodontic system uses fixed, tooth coloured brackets to move your teeth around six months, this is much faster than conventional orthodontics which often takes between one and two years. The reason we can move the teeth quicker is down to a revolutionary type of bracket and the fact that we are often only moving the front teeth. Teeth whitening is one of the most easily accessible treatments in dentistry as it can be offered to almost anyone. So long as you have natural teeth (dental veneers or crowns cannot be whitened) and you are in good dental health then you are more than likely candidate of teeth whitening. As with any dental treatment it is absolutely vital that you are in good dental health before embarking on any programme of whitening. This is one of the reasons it is important to visit your dental practice to have your whitening treatment, if your gums are unhealthy or perhaps bleed on contact then this can affect the whitening process and inflame any gum disease you may already have. Teeth whitening works by placing a small amount of peroxide gel in contact with your teeth. This peroxide whitening gel is held in place by close-fitting and precision made bleaching tray which is the spoke to you and cannot be used with anybody else. These trays need to be made with absolute precision. They need to seal around the age of your tooth/gum margin to ensure that none of the peroxide gel touches your sensitive gums. This is another reason why we recommend going to see your dentist for whitening, they can accurately make sure that this tray fits precisely prior to beginning any treatment. 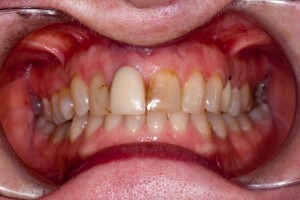 You will typically wear your teeth whitening bleaching trays overnight for approximately 2 weeks. The good thing with the treatment is that if you experience too much sensitivity or you reach your desired tooth colour then you can stop treatment immediately. 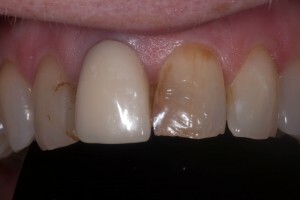 If your teeth are extremely dark, perhaps because they have died then we may find that whitening is not adequate to get them to the shade required. 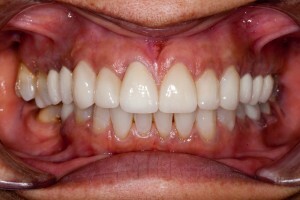 If this is the case then dental veneers can be used to cover up the dark teeth underneath. We’ve already discussed the ability for dental veneers to straighten crooked teeth and white and dark teeth, they can also be used to restore broken down teeth. 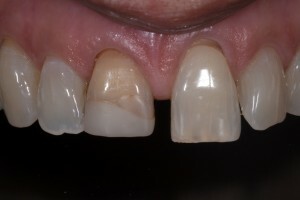 Because we’ve already spoken about dental veneers we’re going to focus our attention now on dental crowns. A dental crown is a precision made and highly aesthetic replacement for the natural crown of your tooth. The most aesthetic ones are made from pure high-strength dental great ceramic which is extremely long lasting and can withstand the force is exerted when you eat and chew. Your dentist will remove any decayed area of tooth, prepare the remaining teeth and take an impression which will be sent off to the dental technician. The dental technician, who was a highly skilled member of the dental team will then make your new crown to fit exactly over the stump which the dentist has prepared. This whole process takes approximately 2 weeks from start to finish, was the technician is making a new crown you will be supplied with a temporary crown. We’ve written blog post in the past offering top tips for people wanting to replace missing teeth, so we’re not going to spend too much time here talking about this. What is important to know is that replacing missing teeth can also be done in conjunction with other forms of cosmetic dentistry. If you have missing tooth it may be that in order to replace it we need to create more space, if this is true then we may use orthodontics to move the surrounding teeth around to create enough space. 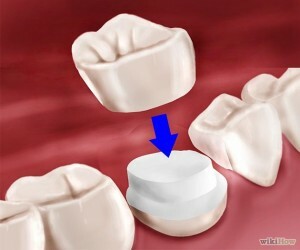 You may also want to restore broken down teeth and white and other teeth at the same time as replacing missing teeth. This then becomes a more complex form of cosmetic dentistry with complicated procedures. If you’re going to have these more complex procedures we recommend you search for your cosmetic dentist on the British Academy of Cosmetic Dentistry website, in the search facility if you type in Nishan Dixit and enter the area as Harrow you will find that he is a full member of the Academy who has been qualified for more than three years, demonstrated a commitment cosmetic dentistry by fulfilling their strict requirements which include attendance at meetings and ongoing postgraduate education in subjects relevant to the practice of cosmetic dentistry. 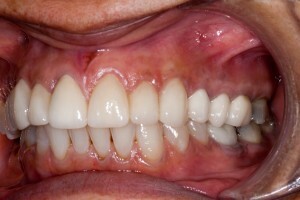 This entry was posted in Cosmetic, Crowns, Implants, Missing Teeth, Share This Post, Why Choose Us? and tagged adult orthodontics, British Academy of cosmetic dentistry, clear braces, Dental bridges, Dental crowns, Dental implants, dental veneers, dentist in Harrow, Dentures, Inman Aligner, six month smiles, teeth whitening on 23 February 2015 by Dr Nishan Dixit. Who said I’m camera shy ! “Please make me look nice for my daughter’s big day!” These were the words of a loving mother who desperately wanted nice teeth for what was going to be one of the most important days of her life, her daughter’s wedding. For most of her life, she had lived with a smile she was very unhappy with. 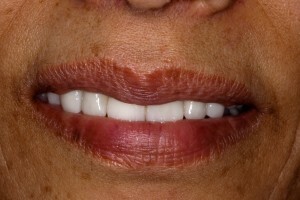 Her top teeth were very uneven and discoloured. The old existing crowns towards the back of the mouth had began to deteriorate, as well as a tooth which had become very stained and unsightly. The gap in between her front two teeth always seemed to draw attention to her not so great smile. This made her feel very self conscious and even embarrassed. She would never smile in front of the camera, and even in general conversation, she would raise her hand to cover her mouth. Friends and family always thought she was very quiet, but in reality, she lacked so much confidence that smiling, laughing and even talking was something she found very difficult. She wanted a smile that would make her look and feel great. With careful thought and planning, Dr Dixit achieved this transformation by using a combination of all ceramic crowns and veneers. 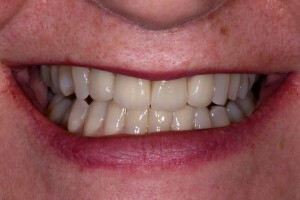 To make the teeth brighter , the teeth were whitened using the home whitening system. The heavily filled teeth were protected with new crowns and the new veneers helped to improve the shape and position of the teeth. 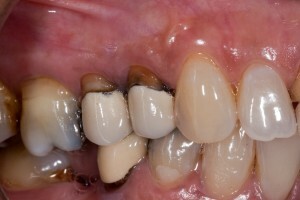 The colour was matched exactly to the patients new teeth colour. 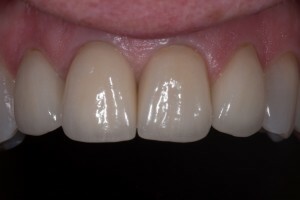 The crowns and veneers were made to look as natural as possible. The patient was very pleased with the results. It had given her so much confidence that she felt like a new woman. She looked and felt amazing. 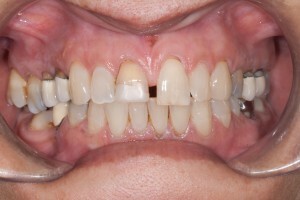 The discoloured front tooth and filling had gone and the visible black lines were no longer there. She finally had the smile she always wanted. This entry was posted in Cosmetic, Crowns, Dentistry, Share This Post, Smile makeover and tagged British Academy of cosmetic dentistry, crowns, dental veneers, dentist in Harrow, emax crowns, teeth whitening, Tooth Movement on 6 January 2015 by Dr Nishan Dixit. Copyright © Blue Court Dental Centre. All rights reserved.